Munchkin Masquerade. 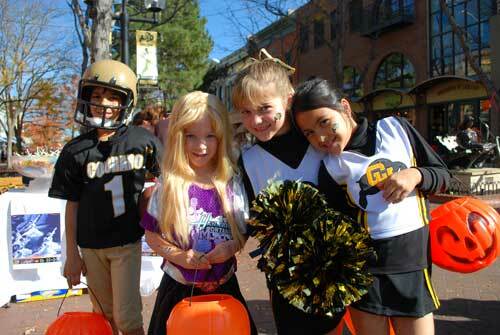 Bring your younger kids down to trick or treat amongst their peers along the shops on Pearl Street Mall. Always a family favorite! The kids are adorable in their costumes. The treats are everywhere. It could not be more fun. October 31, 2012 from 2:00 to 5:00pm rain or shine. For more information visit DBI. Monster Bash at Grandrabbit’s Toy Shoppe. Join Grandrabbits for a fun Halloween event for the kids. Free. October 28, 2012 from 11:00 to 1:00. For more information click here. Colorado Railroad Museum’s Trick or Treat Train. The Colorado Railroad Museum’s Railroad Halloween Town is a safe and fun place for younger kids to enjoy Halloween. Catch a ride behind the historic locomotive & vintage passenger cars hosted by conductors and engineers in full costume. Fill your treat bag and tickle your funny bones. Visit the “not so spooky” haunted railcar or the Olde Railroaders Silly Graveyard & the Pumpkin Patch. It’s full steam ahead for tricks, treats and trains. October 27 & 28. More info on times and tickets here. 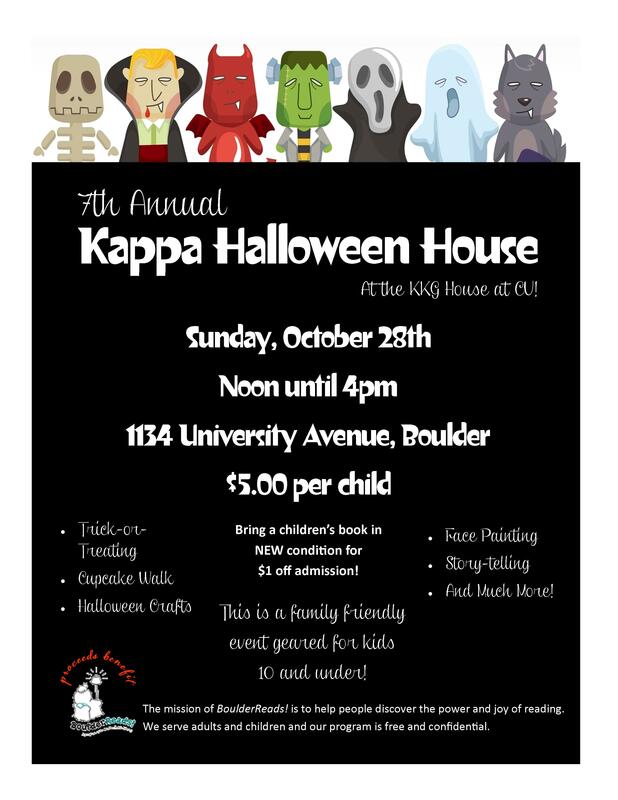 7th Annual Kappa Halloween House. This is a family friendly Halloween event with face painting, crafts, cupcake walk, storytelling, trick-or-treating, and much more. October 28 from Noon to 4:00pm. 1134 University, Boulder. $5/child. For more information click here. South Boulder Rec Center Halloween Carnival. This is a family friendly event hosted by the City of Boulder. Lots of indoor fun including games, prizes, bouncy castle and more. The theme is ghostly gathering. Free. Ages 3 to 8. 3:00 to 5:00pm, Friday, Oct. 26 at the South Boulder Rec Center. For more information click here.